Kids in Danger, a non-profit organization came to us with a very simple problem. Over 17,000 children had suffered from a stroller related injury in the past year. They had a simple problem and a simple goal. They wanted us to create a stroller prototype that combats these injuries while staying true to the purpose of a stroller. Creating a modular, relevant, and safe stroller prototype did not just involve building, but it involved a wealth of market research. We needed to understand what strollers were safe, what strollers were not, and why. We did extensive market research, and through this website would like to share our findings with you... so you can make a knowledgable decision about a key product that we hope will last you for a long time and be an integral part of the growth and safety of your child. Here, we present to you the top 5 safest strollers currently on the market. The information presented to you is a synthesis and collection of extensive market research, consumer reports, and reviews. The following strollers were ranked based on key stroller safety features, historical stroller incidents, and customer testimonials. Harness: 5 point harness keeps your child safely strapped in on any terrain at any speed. Maneuverability: The 3-wheel form factor and lightweight frame makes this Britax stroller the most nimble stroller on this page. It cuts around tight corners easily and glides along the ground, making this model ideal for parents living in crowded areas. Ease of use: You can collapse or unfold it with the touch of a single button - this model is extremely easy to use. Durability: Because this stroller is so agile, it can feel a bit flimsy to some parents. The seat in this stroller is actually quite low to the ground, which means for older children their legs might actually dangle pretty near to the ground. The maneuverability on the Britax B-Agile 3 is the stroller’s best asset. That combined with its light weight, lack of tray, and one button folding and unfolding make it the most convenient, easy to use stroller on the market. 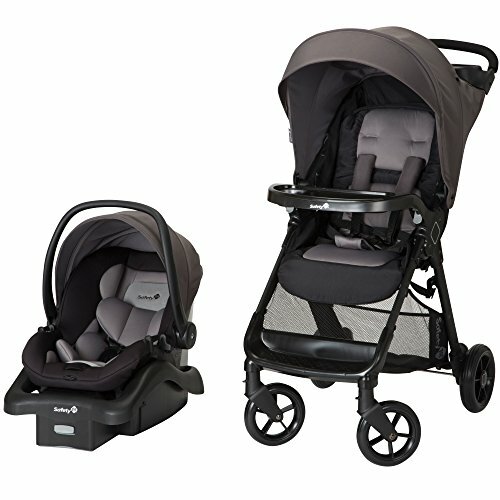 Safety Standards: the Safety 1st Smooth Ride Travel System is one of the few strollers out there that's actually been vetted by an organization called ASTM International (you can find their website here: https://www.astm.org/SNEWS/MARCH_2003/waller_mar03.html). According to them, this stroller exceeded their standards. Adaptability: While most strollers don't have harness height settings, this one allows you to set it at four different heights depending on the size and weight of your child. Newborn Safety: One of the rare strollers that has special contours and pillows for newborn head and body support. Harness: While the harness height setting is adjustable, the part that goes between the legs isn't, so there have been a few claims of discomfort there. Folding: Getting the stroller to lock in place when unfolding can be tricky. The mechanism doesn't feel quite as sturdy as it does on the other models on this page. This combined stroller and car seat combo is one of the most verifiably safe baby products on the market... if the (at times) gimmicky folding mechanism doesn't bother too much. Shock absorbent suspension: addition of rear axle gives this Joovy Zoom model a smooth and durable ride. 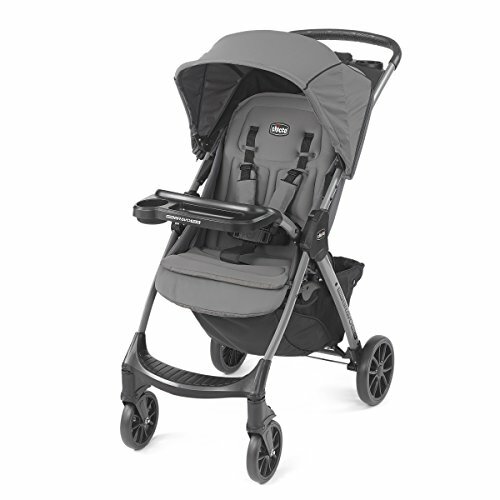 Durability: 16 inch rear wheels and 12 inch front wheels make this stroller safe and reliable (see benchmarks). 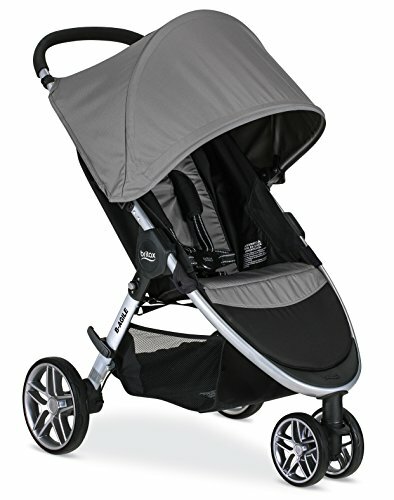 Unlike most other strollers which max out at a carrying capacity of 50 pounds, this one easily carries a 75 pound load. Bearings: Some customers found themselves having to replace the front tire bearings. Handle: Short parents may find that the handle is too high, which is mainly a concern only when jogging/running. The most durable and sturdy stroller available with high quality large wheels that are perfect for any type of stroll, especially those parents into jogging with their child. Sun Protection: The canopy on the Chicco Mini Bravo Plus goes all the way down to block out damaging sunlight, and there's also a mesh backing on it so you can still see your child and he/she will still have air flow. Convenience: Similar to the Britax B-Agile 3, this stroller folds with a single hand, but the mechanism on this stroller feels much more durable and reliable. The handle used to fold and unfold the stroller is also the handle you use to carry the stroller, making this model the most convenient on our top 5 list. Functional: One of the only strollers that can fit an iPhone Plus in the zippered compartment on the stroller. Big cell phone users beware of things like that. 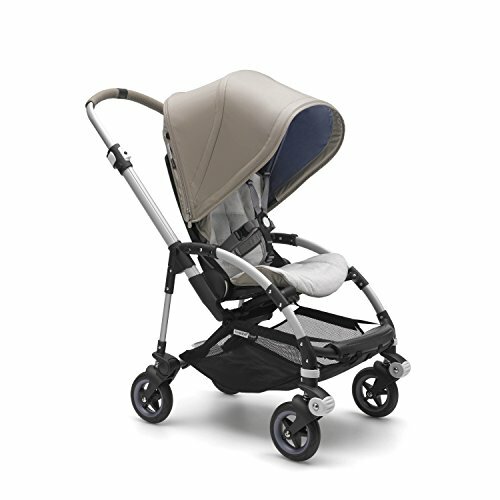 Fabric: Although the mesh is a unique feature and is one of the reasons we decided to include this stroller on the list, it can get holes if you poke it hard enough with a pencil or something like that, so be careful of that. The Chicco Mini Bravo comes in at the lowest price level on our Top 5 list here at Safe Strollers, and being equipped with common sense components like a conveniently large zipper bag and folding handle, it's no wonder why it's featured on our front page. Handlebar: One complaint that pops up all the time is the handlebar height. Too tall for short parents and too short for tall parents. Simple solution: Bugaboo Bee5 has an adjustable handlebar. Seat: You can orient the seat on the stroller so that your child can either face you or face outwards. Functional: Lightweight with no extraneous features - the sleekest design of the Bugaboo series. Cost: Bugaboo strollers are the highest quality available today, but they come at a price. This particular model costs around $700 and is one of their cheaper strollers. Wheels: The wheels on this strollers are not particularly big, so if you live in a cold climate with snow and cracked sidewalks or uneven roads it might be more prudent to opt for a stroller with larger wheels. The Bugaboo Bee5 is high quality and minimalist design. Walking around town with this stroller is certainly a fashion statement. See our section on the Bugaboo brand above.